take a deep breath, and smile. I have a lot of things I want to say to every reader and follower of my blog, most of it regarding to my completely long absence from the blogger community and my lack of blog and social media activity. First and foremost, I would like to apologize. I know I have been MIA for months, and the reason for my unannounced absence is that I have been very busy with school. With the end of the academic year approaching, it has been very hectic these past couple of months - a lot of papers and projects need to be submitted, a handful of exams every week, year-end requirements need to accomplished, and the of course, preparing for the dreaded final exams. 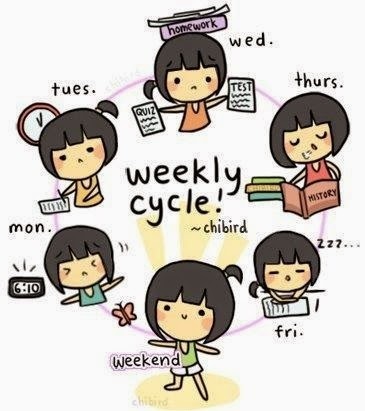 This accurately describes what I went through every week of February and April, except for the weekend part which I also spent doing take home school work. I should have informed everyone beforehand of my upcoming busy school schedule. But I didn't I let every one hanging, and I am really, truly sorry for that. Hope all of you can forgive me. A few weeks ago, there was this very important "thing" that I really wanted to get. I worked hard for it, but I still wasn't sure if my effort had been enough. So, a few hours before I finally know if I will be getting that "thing", I kind of made a bargain with God and the universe. (Yes, I am a firm believer of God, the power of the universe, karma, yin and yang, and all that stuff.). It was an impulse decision. I thought to myself, "Please, let me have this. I would give up blogging for this. If I get this, I would give up my blog." Yes, as heart-breaking as it is, that was what I bargained for. My beloved blog. Why blogging, or the blog? Why not something else, like my cellphone, or my facebook or twitter account? It's simple really. I love blogging. It's the one of the things I was scared to do, but jumped in anyway. I also worked hard to get where this blog is right now, even though it's not yet that far. Little progress is still progress. Also, blogging takes time, effort and will. Although I know I can make time for making blog posts and do a little socializing, I fear that the time I will spend to do those will be better spent studying (more). It's my final year and I can't risk having grades that are at the edge of passing. If that happens, my parents would cut my head off (kidding! They'll just be extremely mad.) Blogging at the expense of my studies? A no-no. Guess what? I got the "thing", and I am about to give up the blog. I decided to continue blogging, but only during school breaks. During school months, I'll try to post reviews the best I can, but there's no guarantee that I can make time for it. I'll straighten out my plan in the coming days. For now, I'm here. I'm fixing some things, but I'm here. I have not updated my goodreads account since mid-February this year - no new friends, no new books on the "to read" list, and I am 16 books behind my reading challenge. Urggggh! But don't worry, I have read a few books this 2014. I just haven't put them on my "read" list on goodreads. It's summer!!! NO SCHOOL!!! Yeaaaaaah!! I am currently an intern at this small accounting firm. This is my first job in my whole life. I was nervous, but I am enjoying the experience. What else? Eeeeeh... Thanks for understanding, guys!!! 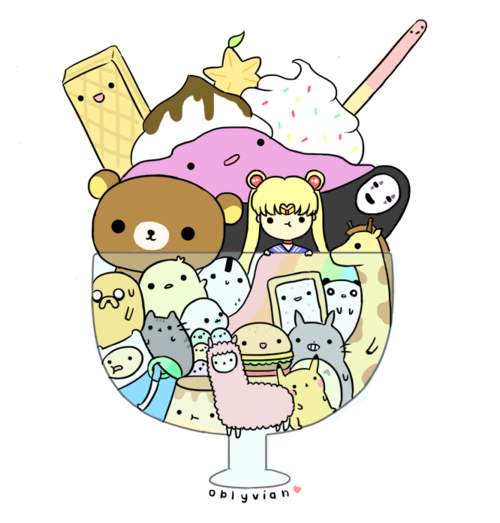 Here's a glass of cuteness for all of you! Bye! *Photos are not mine. Credit to the owners.